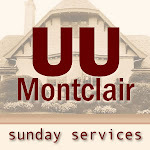 Readings and a homily from The Unitarian Universalist Congregation at Montclair by Rev. Charles Blustein Ortman. Undoing Racism in Our Lives and Our Communities: Does Language Matter? A Worship Committee sponsored sermon from The Unitarian Universalist Congregation at Montclair by the UUCM Undoing Racism Committee, presented by Kimberly Johnson and Christina Wallace. Readings and a sermon from The Unitarian Universalist Congregation at Montclair by Rev. Charles Blustein Ortman. From the Book of Ecclesiastes: “A Time for Everything”. From the poem “The Seven Of Pentacles,” by Marge Piercy. Readings and an Easter homily from The Unitarian Universalist Congregation at Montclair by Rev. Charles Blustein Ortman.